Obituary for Robert Gilmer, Jr. | Rhoney Funeral Home, Inc.
Robert Gilmer, Jr., of Niagara Falls, NY, passed away Monday, January 14, 2019, in Niagara Hospice House, Lockport, NY. He was born in Montgomery, AL on August 1, 1946, the son of the late Daisy Mae (Williams) Jackson and Robert Gilmer. Mr. Gilmer moved to Niagara Falls, NY in 1970 and was employed by Ace Moving Company, the City of Niagara Falls and as a security guard at the Maid of the Mist for several years. He enjoyed listening to the Blues and watching TV. Mr. Gilmer is survived by his wife of 38 years Marsha [Warren] Gilmer, a daughter Sonya Gilmer, five step sons Albert, Darnell, Michael (Deborah), Matthew and Merton (Estelle) Kreps, a grandson Donnel Gilmer, two brothers Ted and Fred Gilmer, also many nieces and nephews. 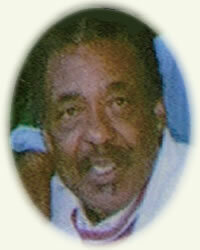 He was the brother of the late Isabella Moye, Diane and Patricia Gilmer. Family will be present Monday, January 21, 2019 from 11-12PM at Damascus Baptist, 210 24th Street Niagara Falls, NY, where services will follow at 12PM.